Dallas – Texas, USA (Anna Eisenrieder) Unlike in the U.S. where there is a bridge between traditional and modern shooters in the younger generation, we have a clash between traditional shooting and modern lifestyles in my country. There is a large number of older, green-wearing guys who hunt, who are gun club life members and who are dedicated to continuing their shooting tradition forever. On the other side, we have a younger, modern, athletic shooting generation practicing a totally different kind of shooting and living an absolutely different lifestyle. These two groups couldn’t be more different and divided! 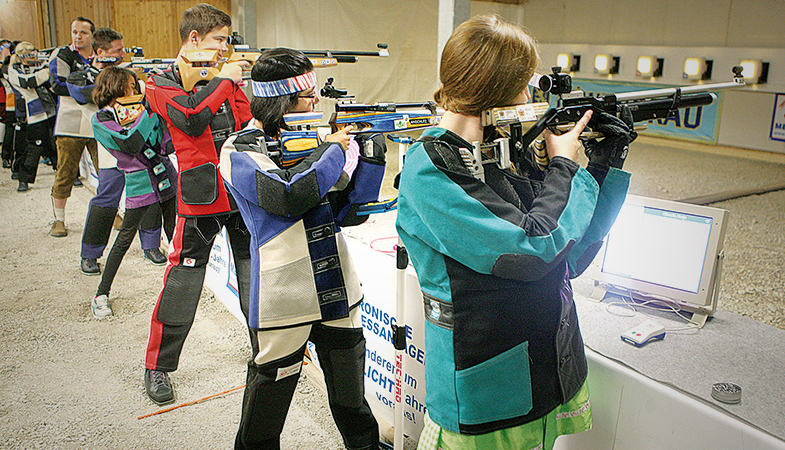 The athletic shooting generation wants their pastime to be accepted and respected like any other sport. They want recognition for their highly athletic performance in competitions. They understand that the survival of their sport cannot rely on these traditionalists but must become part of popular culture because, well, things are different in Germany. In the United States, the right to own a gun grew out of a long tradition, but in Germany, we had nothing equivalent. Gun ownership was always a privilege, not a right. We have some of the strictest gun control laws in the world, and the only “gun tradition” we have in Germany is shaped too much by the old-school gun clubs and their exclusive memberships. As a result, the younger side of gun culture is hardly even acknowledged despite the fact that there are more than 1.5 million athletic shooters in the country who practice this beloved sport. If you go out and tell anyone “Hey, I am a competitive shooter,” the first reaction you’ll get is a very skeptical and ambiguous look. Very few people know what this sport is all about. Or even worse, people view guns as dangerous and incompatible with the sporting lifestyle. 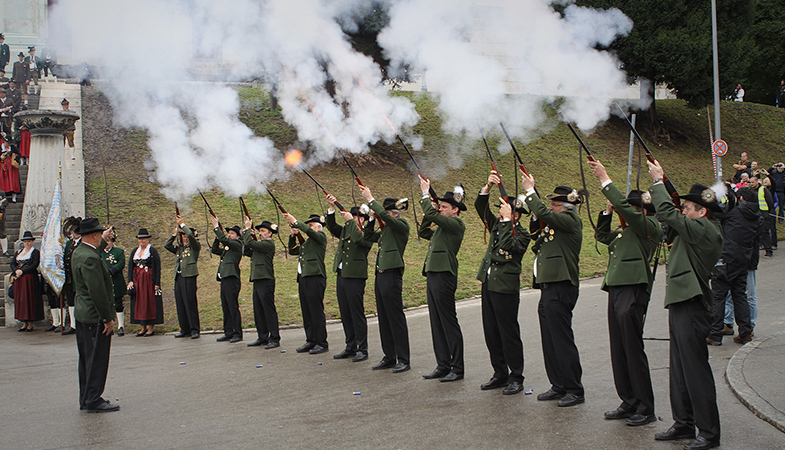 Did you know that this year over 9,000 shooters participated at the annual Oktoberfest Competition of the Bavarian Association of Amateur Marksmen for Air Gun and Air Pistol? 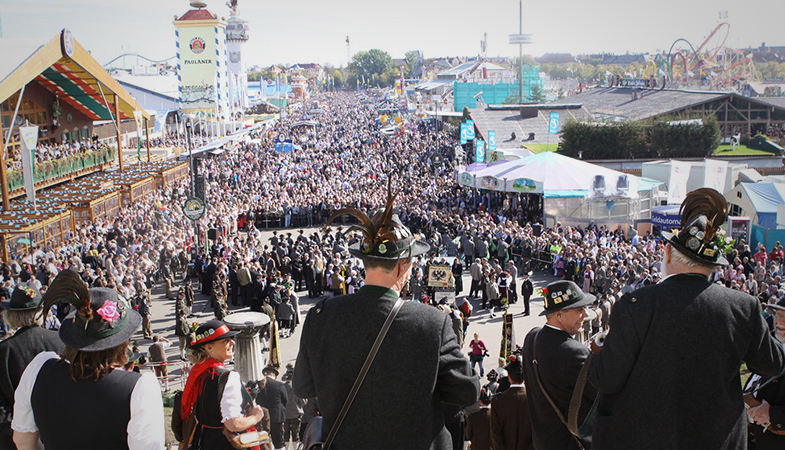 Did you know that every year at the end of the Oktoberfest, a huge number of Bavarian shooters use their rifles (loaded with blanks) to send off the festival with a final shot in the air all at the same time? Yes: at the biggest beer fest in the world, with about 6.3 million visitors from all around the globe, shooting is an integral part of it. All of a sudden it’s a popular attraction to shoot a gun and nobody seems to have a problem with it. Here comes the funny part: Not even 10 miles away from the Oktoberfest grounds is the biggest shooting range in Germany for all Olympic shooting sports and the headquarters of the International Shooting Sports Federation (ISSF). Not even the locals know that it exists! If you wanted to take a cab out there, a driver with 20 years experience would have no idea where you wanted to go. The World Cup, the Grand Prix and other international competitions are held at this shooting range, and people living around it don’t even know that it is there. The German Ladies Olympic trap team is the reigning world champion, and only very few people in Germany know about that. Why does the media keep quiet about this? Why don’t they want to promote their country with perfect sport performances like they do it with soccer or tennis? We have so many young and great competitive shooters in Germany, who perform at the top level nationally and internationally, but nobody cares about them. It’s a very frustrating situation. So what can be done to give this really damaged image of competitive shooting in Germany a chance to recover? We can work to bring about changes in people’s opinions and in the media’s portrayal of firearms. We can point out the differences between the shooting club traditions and competitive shooting as an Olympic discipline. I’m not saying that we should move forward by snubbing a rightfully proud tradition, but you simply can’t put them in the same box. That is what people have to understand: These are two entirely different pairs of shoes. Toward that end, a few individuals and organizations came together to start an interest group, called Förderkreis Nationalmannschaft Wurfscheibe (“Support Group for the National Team of Clay Target Shooting Sports”). They focus on the German National Team of competitive shotgun shooters and the support of young shooting talents. This group, mainly sponsored by the Krieghoff Company in Ulm, Germany, tries to promote those athletes in the best possible way. It’s a start. But we need more. Anna Eisenrieder is a guest columnist to NRA SHARP Daily from Germany. Her sister shoots for the German National Team (Olympic Trap), inspiring Anna to champion the shooting sports in a country where they are underserved and underappreciated. She is currently working on an image campaign in cooperation with Krieghoff and the Support Group for the National Team of Clay Target Shooting Sports.